We love our smartphones. Our mobile technology has tremendous advantages. At the same time using the technology can literally be a pain in the neck. 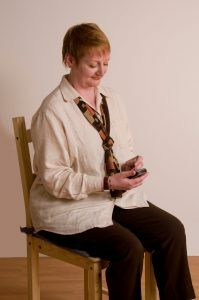 So many people are experiencing neck, upper back and shoulder pain from excessive use of smartphones that doctors have given the syndrome a name—Text Neck. Text Neck is affecting younger and younger people. CNN reported recently on a 14-year-old who has been diagnosed with the syndrome. 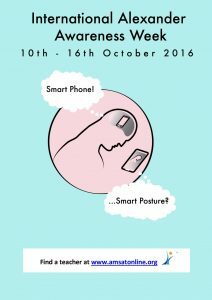 Because this is becoming such a pervasive problem and Alexander Technique Teachers are seeing more and more students with these symptoms, the theme of 2016 International Alexander Awareness Week (Oct 10—16) is Smartphone! Smart Posture? If you have been using a smartphone for any length of time you are probably very skilled at navigating all its functions. They really are amazing. But smartphones do not come with one very important thing—a user’s manual for you. Any tool used in a manner for which it is not intended, will eventually cease to function properly. The problem is not the technology. The problem is what you are doing with yourself as you engage with technology. You are designed to look down from the top of your neck, not the bottom of your neck. You have a lovely joint where your head balances on top of your neck (which is the top of your spine). The joint is approximately between your ears. Look at the side view of the top of the spine and head below. 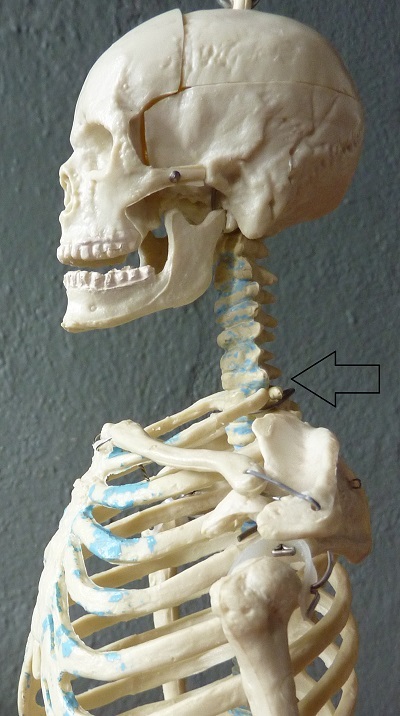 Notice how high up the joint is where the head balances on top of the spine (indicated by the arrow). Also notice how far forward the joint is. It is not at the back of the head. The joint between the head and spine is this high up and this far forward! Text Neck results from you habitually looking down at your smartphone using the bottom of your neck (indicated by the arrow below) as if it were the joint, instead of allowing the head to roll forward slightly from the top of the neck. Your head weighs 10—12 lbs. When you look down from the bottom of your neck it is the equivalent of dangling a heavy shopping bag on the end of your neck. You would never do that to yourself! But if you are looking down to use your phone from the bottom of your neck, adopting the typical smartphone posture, that is exactly what you are doing. 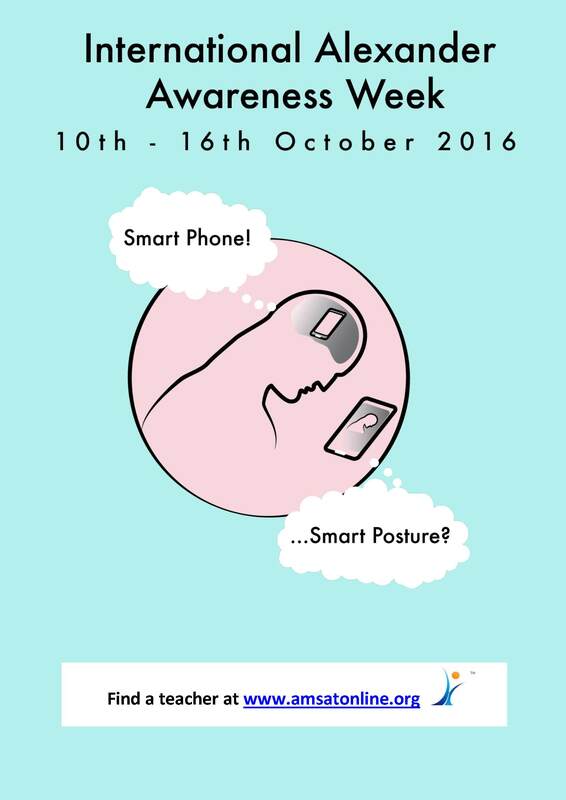 This typical smartphone posture puts a tremendous amount of strain on the muscles of your neck and upper back. Adopting this posture over time can lead to a loss of the natural curve in the cervical spine, which puts added stresses on the cervical spine. A study reported on in the journal Surgical Technology International in 2014 found that as much as 60 pounds of pressure is put on the spine by the weight of the head when it’s bent in the position typical when using a smartphone or tablet! 1 Improve your Body Map. Get familiar with the joint where the head balances at the top of the spine. Once a day sit or stand with a tall spine, your head balanced on top and eyes looking forward. Leaving your head on top of your spine, bend your elbows and bring your hands up to your head (not your head down to your hands). Take your fingers and right behind your earlobes you will find the bones at the base of your skull. Allowing the head to balance gently on top of your fingers practice allowing your eyes to drop and your head to roll gently forward from above your fingers, without dropping the neck. Now bring your hands to where the neck meets the shoulders and drop the head and the whole neck forward. Contrast the two. Over time you will get to know the difference. Knowing the difference between the two allows you to make a choice. 2 Cultivate a Habit of Checking In. Knowing what the healthy choice is, that’s easy. Remembering to make the healthy choice, that’s the challenge. What you need to understand is that paying attention or “checking in” with your smartphone posture is a habit that you need to cultivate. It is going to take a bit of work. It’s not just going to magically happen. A habit is a behavior that is triggered by a stimulus or cue of some sort. Therefore, to cultivate a habit you want to associate or “pin it” it to something. Instead of right away trying to pay attention all the time you are using your smartphone, choose one time that you use your smartphone during the day and “pin” paying attention to that time. 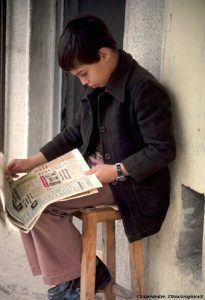 For example, if you like to read the news on your smartphone while you eat breakfast, “pin” paying attention to eating breakfast. If you like to check your phone as you ride the bus to work, “pin” paying attention to being on the bus. Start associating checking in with one time. After you begin to automatically associate that one time with paying attention to your smartphone posture, choose another time. If you work in this way, you gradually associate paying attention more and more to using the smartphone in general and it will become easier to remember more of the time. 3 Position your Smartphone to Facilitate Good Posture. Where you place your smartphone makes a big difference! The detrimental effects of typical smartphone on posture is not a problem of our modern age. It is just an extension of the problem of the flat work surface. Plopping a paper document flat down on your desk in front of you to read has the same effect on your posture as placing your smartphone flat on a table. Same thing with reading a print magazine or newspaper laid flat out on the table as you graze over your lunch or held flat in your lap as you relax in the sauna at the gym. The boy below is reading a newspaper. With this posture, he could be just as easily texting on his smartphone. Because the joint at the top of the spine (way up high between your ears) only allows the head to look down so far you end up dropping the neck in order to read. You need to bring your smartphone closer to your head and angle it a bit toward you. If you are sitting with the smartphone flat on your lap raise it up and angle it toward you a bit. If you have a bag with you, place the bag on your lap to support the phone a bit higher and angle it toward you. If you are sitting at a table, support the phone on the table and angle it toward you. You can also invest in a device holder that will hold your phone at a good angle for you. 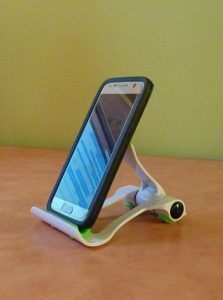 I use a holder like the one below when I read at the table or when I have my phone on my desk at work. These are inexpensive and can be found by searching for universal device holder on the Internet. The one I have is especially nice because it is adjustable. 4 Take a Tech Break. Part of the problem of our mobile devices is that they are mobile. Because we take our smartphones everywhere we end up using them all the time, which is too much. Take a break from your phone each day. Get moving. Go for a walk without using your phone. Leave it at home (gasp!) or leave it off and in your pocket if you absolutely must have it with you. As you walk, let your head balance easily on top of your spine and look out at eye level as you stroll around your neighborhood. If you practice walking with your Head Up and Eyes Forward over time you will learn what that good relationship between the head and spine feels like. 5 Establish a Constructive Rest practice. Lying down in a semi-supine position on the floor each day for 10—15 minutes is a simple way to rest and release the muscles in your neck and back. Lie down on your back on a firm but comfortable surface, such as a yoga mat or a rug. Support the back of your head with a stack of paperback books so that your head is not tipped back. Bend your knees and stand your feet on the floor about hip width apart. Bend your elbows and allow your hands to rest on your abdomen. Take time to be aware of how you contact the floor and the books. Allow yourself to be supported. Be aware of your breathing flowing in and out of your body. The goal of this practice is not to flatten yourself against the floor nor is it to relax and go heavy. So, do not try to push yourself against the floor. Allow gravity instead to invite you to rest gently against the floor. This practice allows your muscles to release excess tension so your whole body can lengthen and muscular tone is redistributed throughout the body. For more information, visit the Constructive Rest page on the studio’s website. If you are experiencing neck/shoulder or upper back pain and use a smartphone try the above five simple tips over the next month and see how it goes. Technology is not the problem. You are perfectly designed to use your technology. You just need the user’s manual. 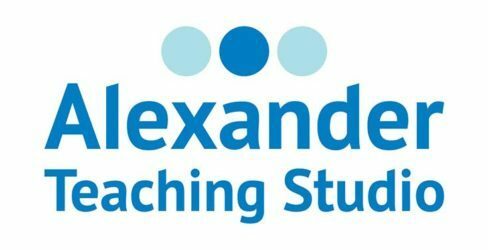 Hi Lauren – I really love your posts and so useful in support of my teaching as a vocal coach here in the UK. I do link to your articles from time to time. So crucial to have a good understanding of that pivotal point/joint between the ears. For singers it can make or break so many things. You’re very welcome Gillian. 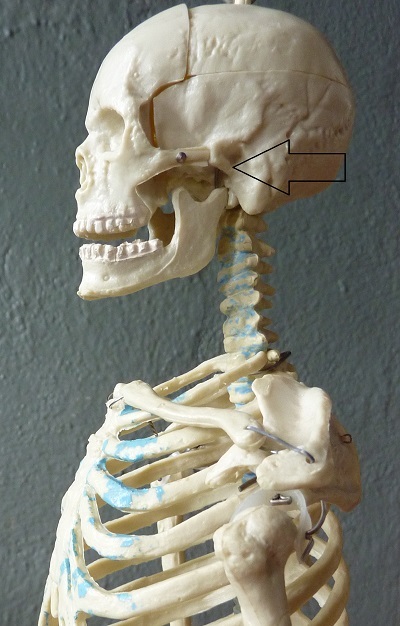 You are right that the balance of the head on top of the spine has a huge impact on the vocal mechanisms of the throat and hence the quality of the voice. That was FM Alexander’s great discovery–the impact of that head-spine relationship–first on his own vocal problems but then on so much else. Hi Lauren, thanks for another great blog and a great description of how to use the neck while using the phone. Our smartphones are such a big temptation, and it’s easy to forget how we are using our selves when we are down the mobile rabbit hole. Thanks for this! The best is “Take a break from your phone each day”. You’re welcome Barbara. 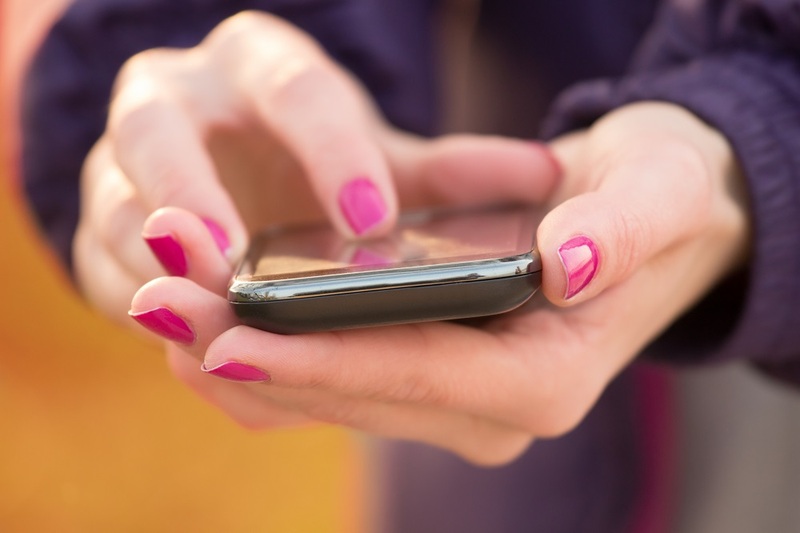 Interesting how quickly the smartphone has literally become a new appendage to our body!